You probably think that learning the history of Poland in a mere 10 minutes is impossible, even insane. Give Culture.pl 10 minutes to prove you wrong. In the middle of the 10th century Duke Mieszko I (Mee-esh-cko), who ruled several Western Slavic tribes, decided to consolidate his power by being baptised in the Latin Rite and marrying Doubravka, a princess of Bohemia. This is symbolically regarded as the creation of the state of Poland. By this means Poland became a Christian country, permanently joined Western culture, and moved under the pope’s protection. Mieszko’s son completed the process of forming the country by conquering a considerable amount of territory and spreading Christianity among those who remained unimpressed by Mieszko’s baptism. He was rewarded for his efforts with the throne, and became the first legitimate king in Poland’s history, however, only a few years before his death. Nevertheless, Poland became a kingdom in 1025. The royal line of Mieszko ruled Poland until the end of the 14th century, when they died out. This forced Poland to look for their new king elsewhere, and after a brief political romance with Hungary, the Polish queen Jadwiga (Yah-dvee-gah) married the Grand Duke of Lithuania, thereby giving rise to long-lasting union between the two nations. The alliance eventually evolved into creation of one country: the Polish-Lithuanian Commonwealth. 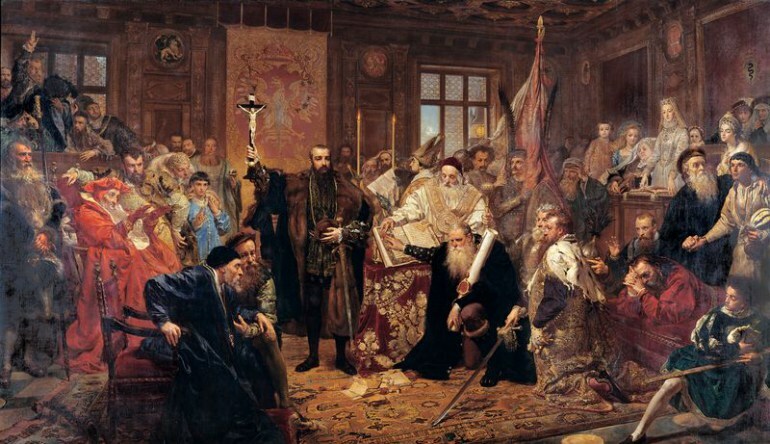 The 150 or so years between the beginning of the 16th century and the first decades of the 17th century went down in history as the Polish Golden Age. The country’s political system evolved into an early democratic monarchy and became one of the first multicultural states in history, with minorities’ rights protected by the Union’s laws. The Commonwealth was one of the biggest political entities in Europe as well as one of the most influential, both culturally and politically. In the mid-17th century, this huge political organism started to weaken. The upsurge of the Tsardom of Russia, the Kingdom of Prussia, and Sweden, as well as the Ukrainian Cossacks’ pursuit of independence, resulted in the Commonwealth’s territory and political significance gradually shrinking. Prolific conflicts between nobles resulted in domestic order destabilising and exacerbated the country’s vulnerability. 100 years of warfare gravely diminished the country’s wealth, vastly reduced its population, and regressed culture and science. 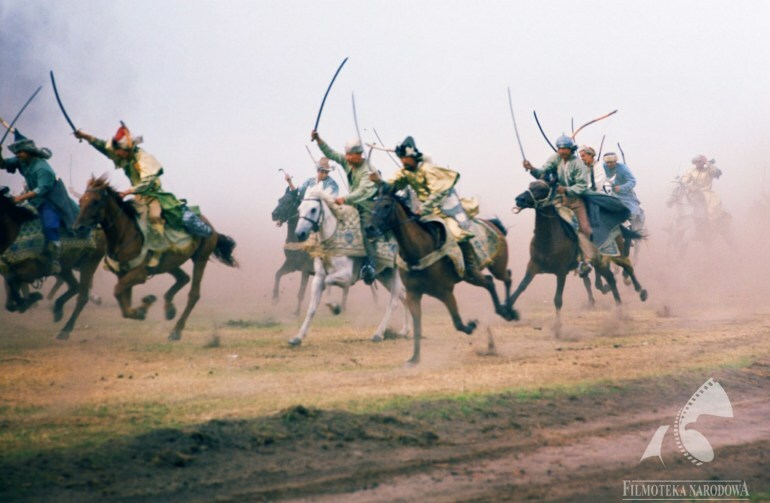 The Swedish Deluge – devastating Swedish invasions in 1655-1660 – as well as neighbouring countries’ policy of using internal conflicts to maintain domestic disorder resulted in Poland’s very existence being seriously endangered. The only way out for the Polish state was to undergo fundamental reforms. In 1764 Stanisław August Poniatowski was elected as the new king, however, with great support from Catherine the Great of Russia. 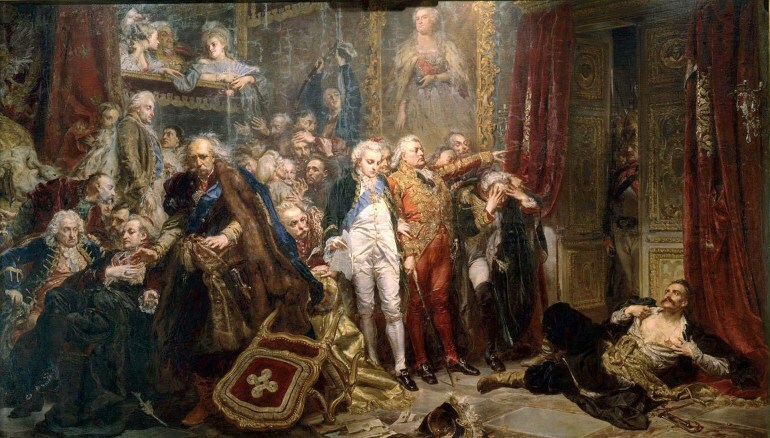 The new Polish monarch was well educated and aware of the state’s fragility, hence he started shifting back and forth between the demands of various groups of Polish-Lithuanian nobles and his dominant Russian ally. His policies brought much improvement in the fields of economy, culture and science, but due to discord among the magnates, it didn’t manage to prevent the First Partition of Poland, and the country's outer provinces were appropriated by its three neighbours: the Russian Empire, the Kingdom of Prussia and and the Habsburg Austrian Empire. …it didn’t quite work out like that. Catherine the Great of Russia was deeply concerned about the direction of the reforms and, with the support of some of the Polish-Lithuanian nobility, forcefully stopped it by invading and conducting the Second Partition of Poland. 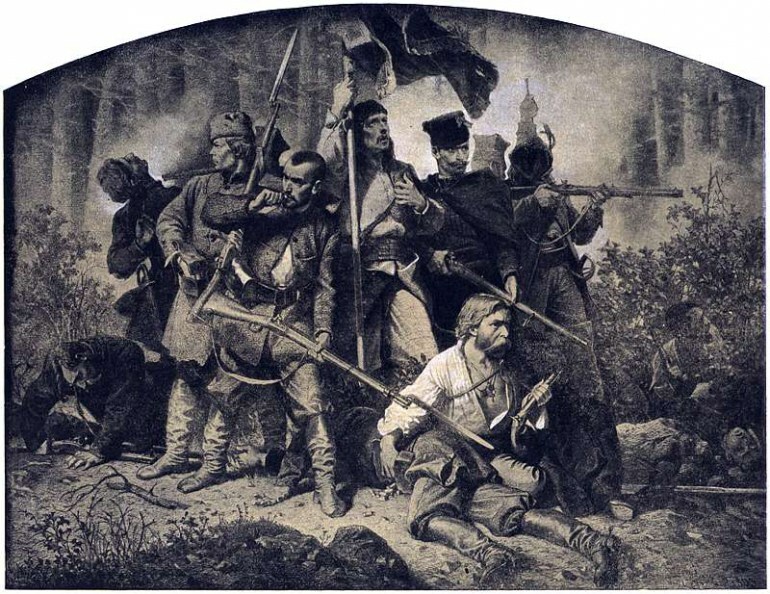 Soon, the surviving reformers decided it was time for their last resort and gathered under the lead of a veteran of the American Revolution – Tadeusz Kościuszko. The insurrection they started was an act of great bravery and desperation, yet it was doomed to failure from the very beginning. The overwhelmingly superior military forces of the neighbouring powers brutally suppressed the rising and divided the remnants of Polish territory between themselves during the Third Partition of Poland. Thus in 1795, Poland ceased to exist. Each of the invaders implemented a policy of denationalising Polish citizens. A vast part of the intelligentsia went into political exile or resigned from public political activity. However, the idea of Poland as an independent state was not lost. Polish units were formed during the Napoleonic Wars, and clandestine Polish organisations started two major uprisings (both were unsuccessful) and tried joining the Spring of Nations in 1848 (again, unsuccessfully). After the merciless strangulation of the last major insurrection – the Uprising of January (1863 -1864) – Polish political activists turned back to grassroots work. Instead of trying to regain independence forcefully they started organising unofficial education centres that taught Polish language and history (the language was forbidden in some districts), watchfully fostered social reform, and continued advocating the ‘Polish case’ at the courts of the enemies of the invaders of Poland. 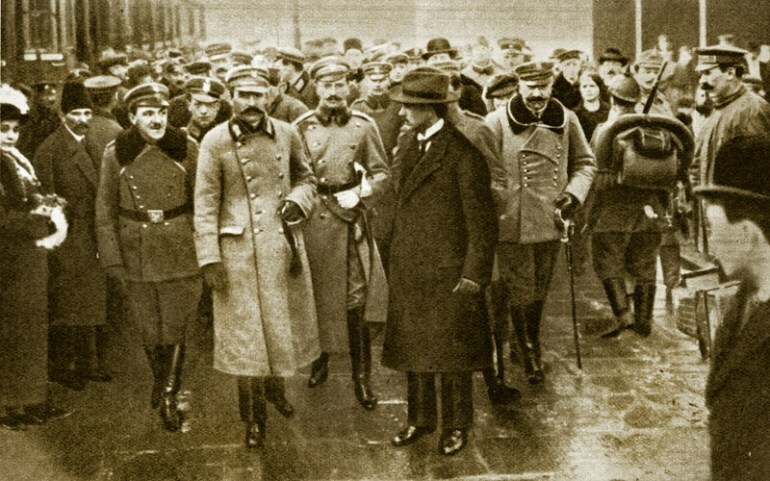 The outbreak of World War I and the major subsequent changes to Europe’s political map was the moment that Polish activists had long been waiting for. Throughout the war around 2 million Polish soldiers fought on the fronts of WWI, supporting the armies of the Triple Entente, whilst the Polish political elite sought the endorsement of the French-Russian-British alliance for Poland’s independence. Thanks to these efforts as well as thanks to many favourable events (such as revolutions in Russia and Germany) Poland regained independence on 11th November 1918. The interwar period (1918-1939) was entirely devoted to the painstaking and tormented process of rebuilding and reuniting the devastated and terribly divided country (which had been 3 different countries for the previous 123 years). It was marked with vehement political mayhem, including the assassination of the first president and a coup d’etat as well as huge unrest on the eastern borders of Poland. 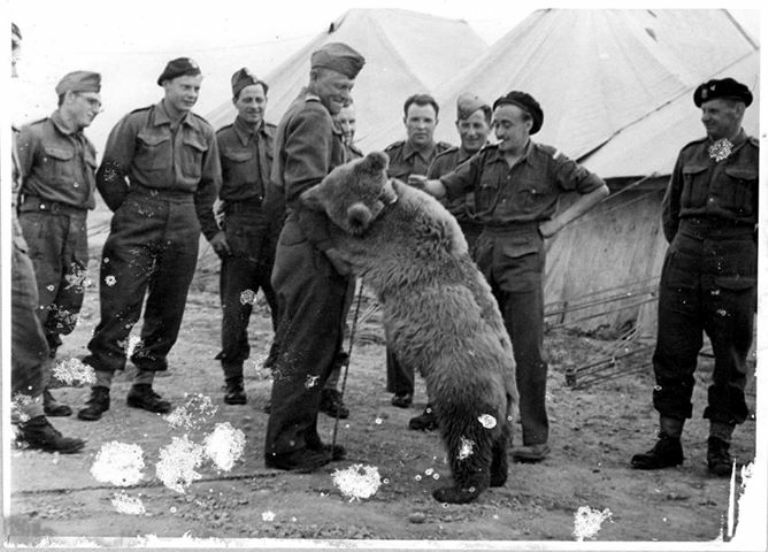 Wojtek, the soldier bear playing with his brothers-in-arms, circa 1942, photo: AA's archive. On the eve of World War II, Poland was far from ready to confront Nazi Germany, which had been preparing for war for years. Hitler’s invasion in September 1939, backed by Stalin’s army from the east, erased Poland from the map in 27 days. The government fled to Great Britain but continued working as a government-in-exile. Polish armies and units still fought alongside the troops of the Western allied forces, such as contributing considerably to victory in the Battle of Britain and breaking the Enigma code. Poles organised the biggest underground army in Europe’s history – the Home Army. Even though Poland ended the war on the winning side and was re-established as a state, it fell under the influence of the Soviet Union and was forced to adopt communism as its political system and a satellite government, strongly dependant on its sponsors in Moscow. World War II devastated Poland. 5 million inhabitants of pre-war Poland were killed, many of these casualties were the result of the deliberate extermination of the Jewish and Polish elite. Warsaw – the capital of the Second Republic – was virtually burned to ground. As a result of post-war peace conferences, Poland lost the majority of its eastern territories but was compensated with some industrial regions of pre-war Germany on the west – it literally moved around 100-150 kilometres westwards, which brought on the necessity of resettling 2 million people! Poland was to be rebuilt yet again, this time under a severely anti-democratic communist regime with an inefficient economic system. This, accompanied by robust political and cultural isolation, made Poland’s reconstruction much slower than those of Western European countries. Constant economic stagnation, shortages in the supplies of basic goods, and a lack of political freedom and free media, as well as the frequent abuses of power of the political elites, marked the communist period with great social unrest and protests, always brutally suppressed by the establishment. 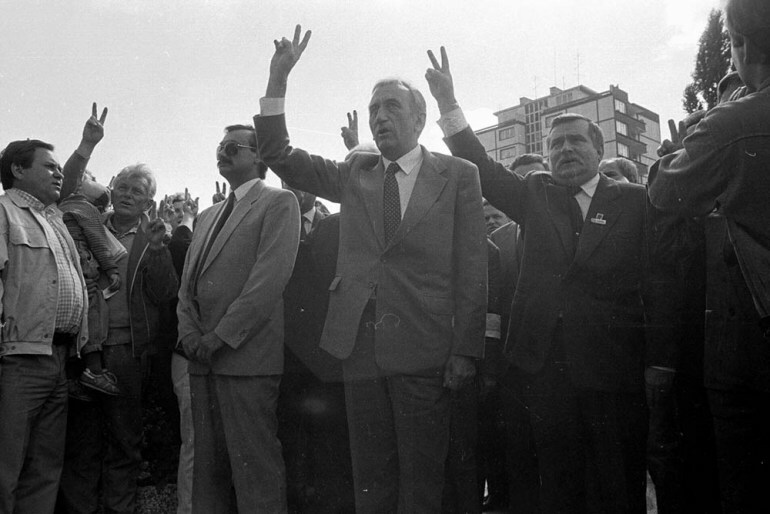 In the beginning of the 1980s, the deteriorating economic situation and Poland’s inability to pay its international debts forced communist leaders to raise consumer prices. Society, already living in very difficult conditions, reacted immediately. A wave of strikes started in the Lenin Shipyard in Gdańsk, followed by occupational strikes in many other factories and mines, paralysed the country’s economy. It was the beginning of the final struggle between the communist regime and Polish society. Solidarity / Solidarność, a social movement that at its peak had over 9 million members (approx. 25% of the Poland’s population), managed to survive it being disbanded and the introduction of martial law as well as its leaders being persecuted. 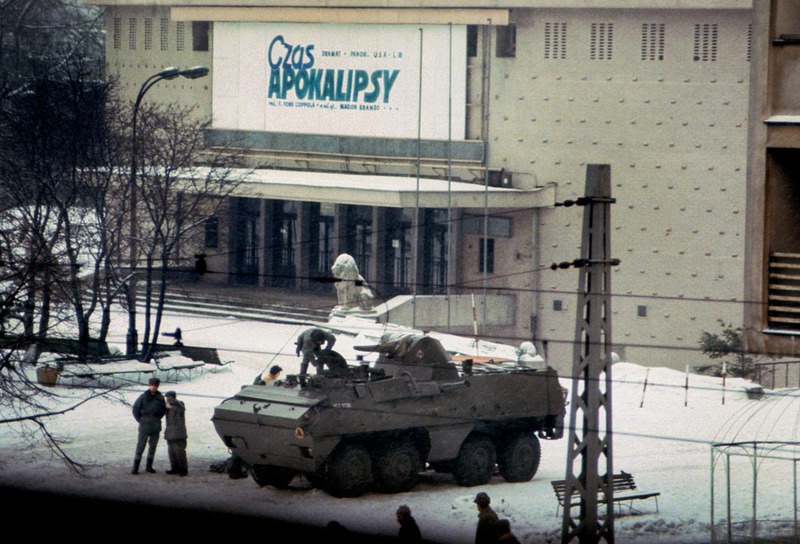 The growing weakness of the Soviet Union, the gendarme of communist side of the Iron Curtain, enabled further strikes in the late 1980s and eventually led to the peaceful revolution that freed Poland from Soviet dominance and started the revolutions of 1989 – a series of historical events that dismantled the Soviet Bloc and ended the Cold War. The democratic opposition that took power at the turn of ages decided to refer to the tradition of the Second Polish Republic and renamed the country the Third Polish Republic. Poland immediately embarked on a path of fundamental reform, rapidly switching from a one-party system to political pluralism, from a state-controlled economy to a free market as well as changing its international orientation from being a part of Soviet bloc to joining NATO in 1999 and the European Union in 2004. Over 25 years of sustained peace and development has let Poland make up for much of the backlog of communist times. Poland has become widely recognised as a role model for countries that experienced a political transformation after the revolutions of 1989, and is again regarded as a strong political entity in the region. 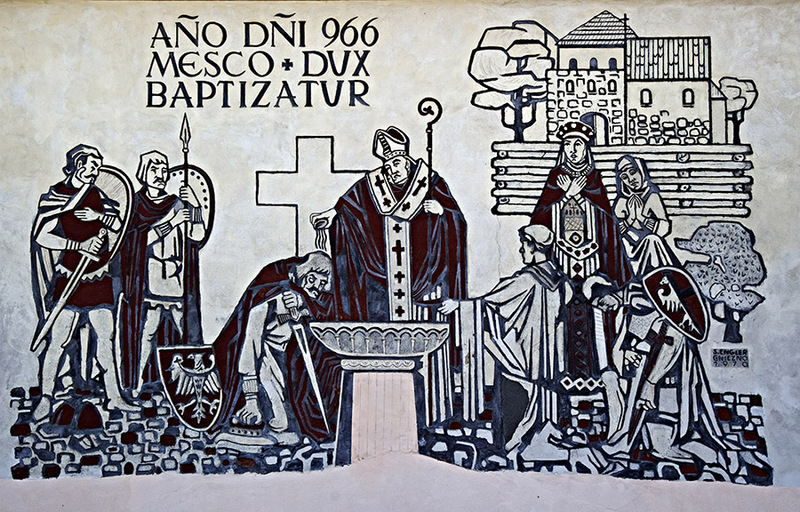 2016 marks the 1050th anniversary of the baptism and Polish state, which is being celebrated with a series of special events such as concerts and exhibitions. The last step: test your knowledge! Author: Wojciech Oleksiak, 1st February 2016.